Figure 4.27. 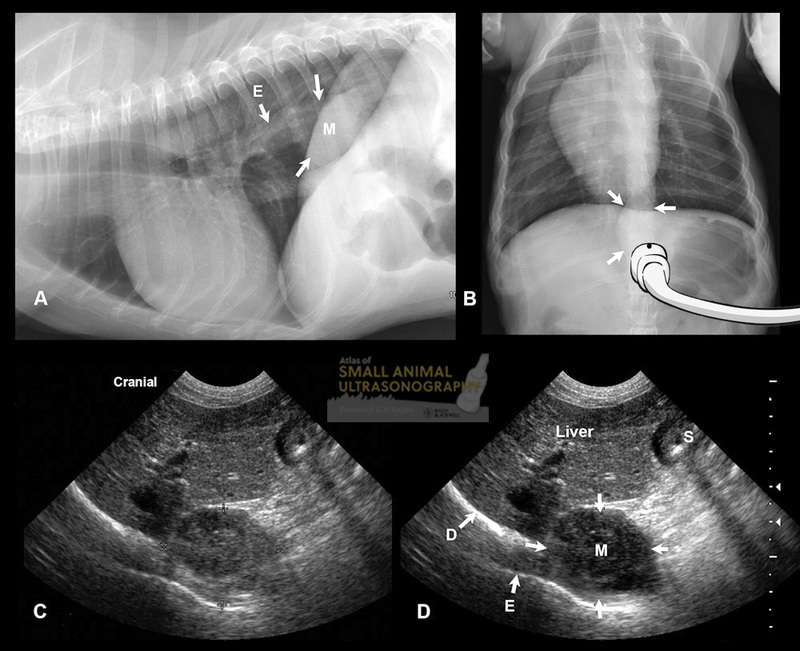 Esophageal mass in a 14-year-old Welsh Corgi. A and B: Thoracic radiographs reveal a homogeneous, soft-tissue opacity (M, arrows) associated with the caudal mediastinum, in the caudal region of the esophagus (E), silhouetting with the diaphragm. The position of the ultrasound transducer is shown in B. 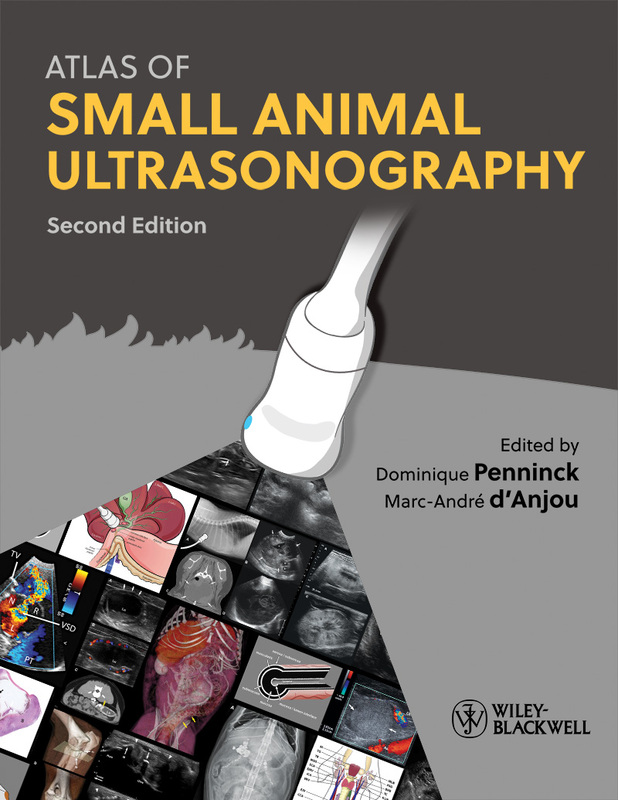 C and D: Ultrasonographic and enhanced labeled images obtained with a ventral transhepatic approach (sagittal plane). At the level of the esophageal hiatus, the mass (M, arrows) is associated with the esophagus (E). Liver and stomach (S) are visible in the near field, and the lung-diaphragm interface (D) manifests as a curvilinear, strongly hyperechoic structure bordering the esophageal mass.